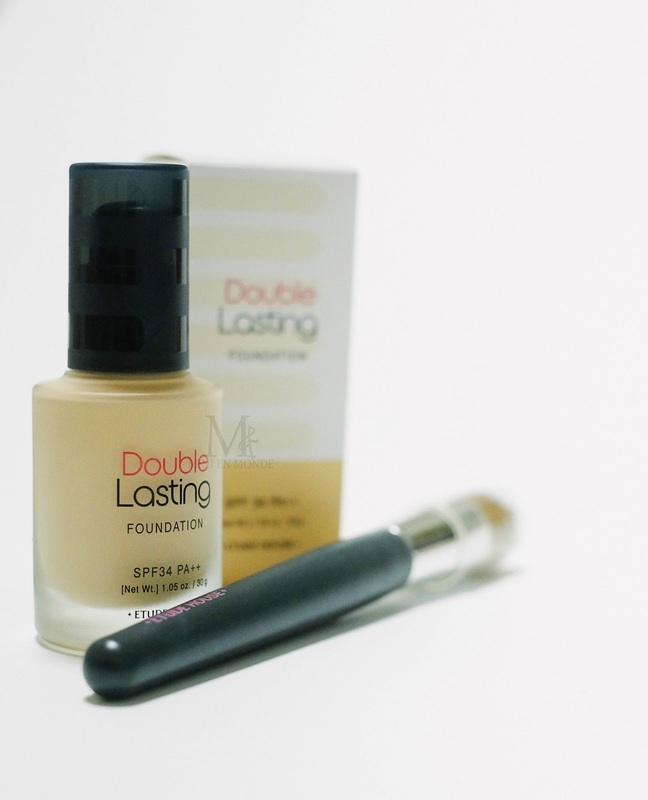 Hey girls, I’m back with another big hit item here in Korea, Etude House's new foundation " Double Lasting Foundation"
It coming in the black cap bottle in sleek and chic design rather than usual pinky princess type of etude’s. 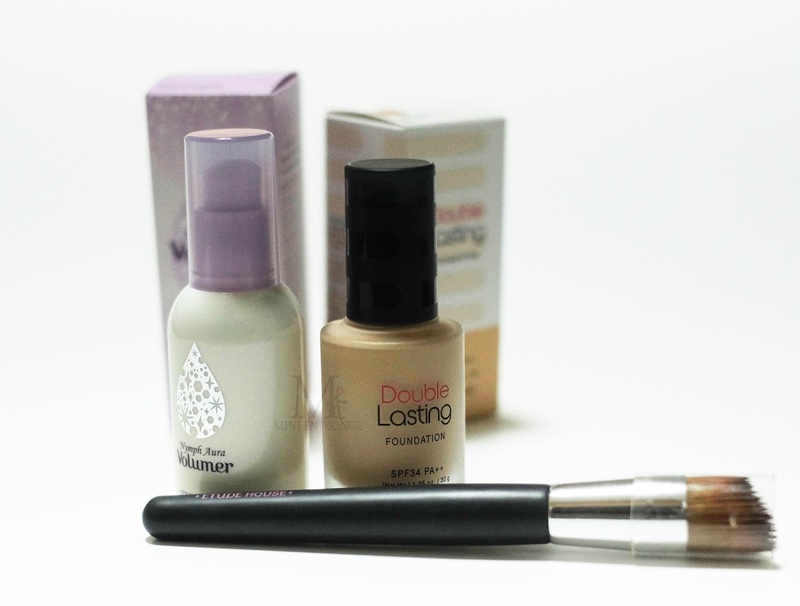 The foundation claims to adhere well until 24 hours in your face without looking cakey, heavy feeling, smudge proof, oil control, and good coverage. What a perfect foundation huh? For dry skin people they recommend to use aura volume no. 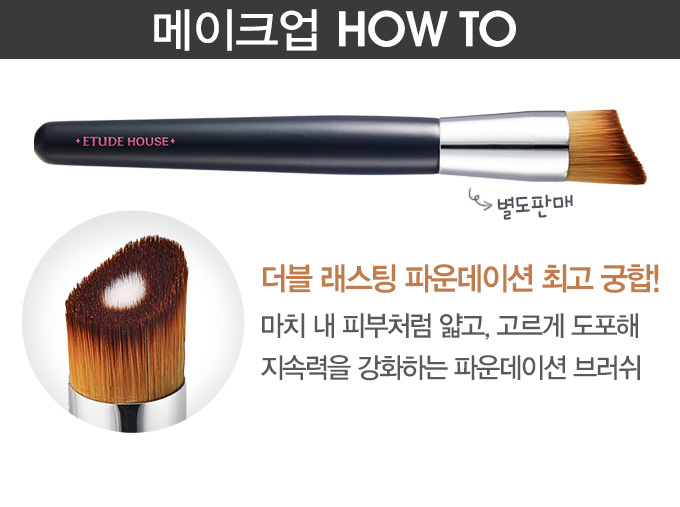 4 before applying the foundation and also using the special designed (separately purchased) brush for maximal result. It comes in 5 shades but I only have 4 shades in my hand that I can show you here, the fairest shade fair have a pink undertones and the other had yellow undertones in it. online description page said that the sand colour is for person who usually wear cushion no.23 which is around NC25-30? Im actually using 21 for the cushion and 117 in MUFE but I found that Sand suits me better than Beige. Beige look more darker and the Fair had peachy- pinkish undertones . 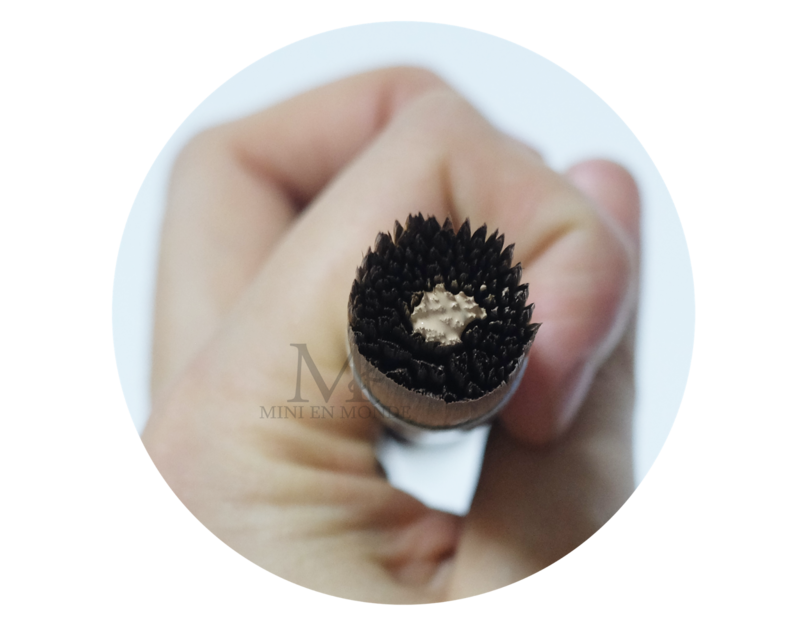 shake the foundation well before you pump it and pump in the center part of the brush. 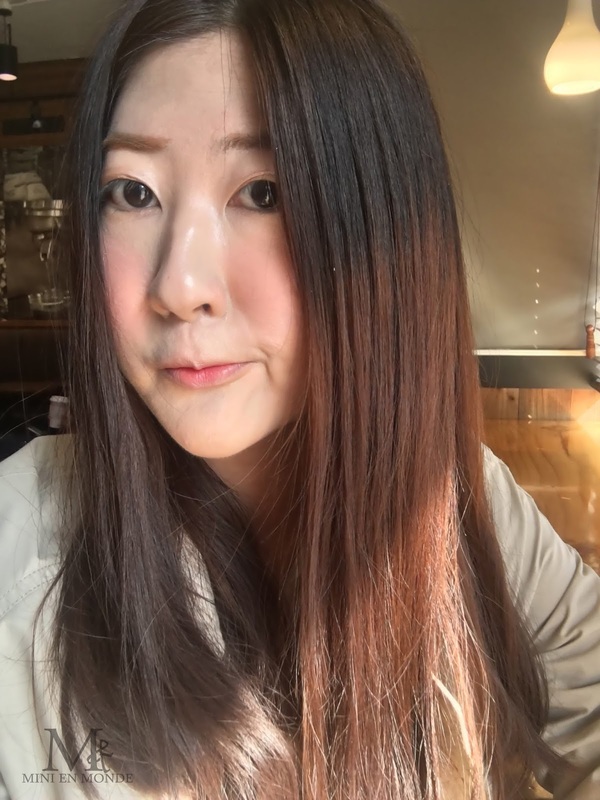 Not like the previous bad romance experience with etude house bb cream,after trying it for a week this one is my perhaps favorite etude house products ever. 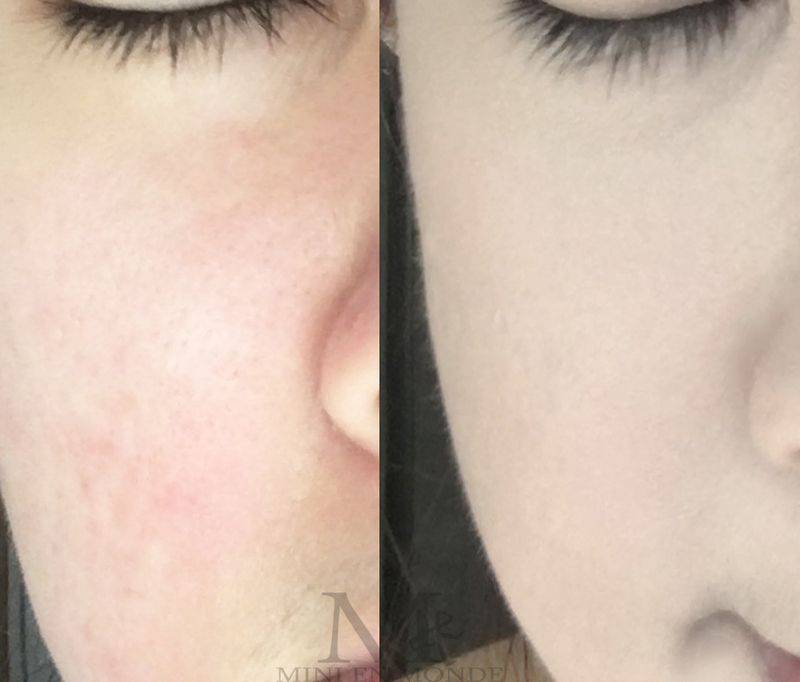 I'm impressed since its incredibly lightweight, good coverage, this one works so good in covering my red post acne scars, rosasea cheek, and dark circle. one pump of foundation enough to me. So far it didn’t trigger any cystic acne or blackhead to me. 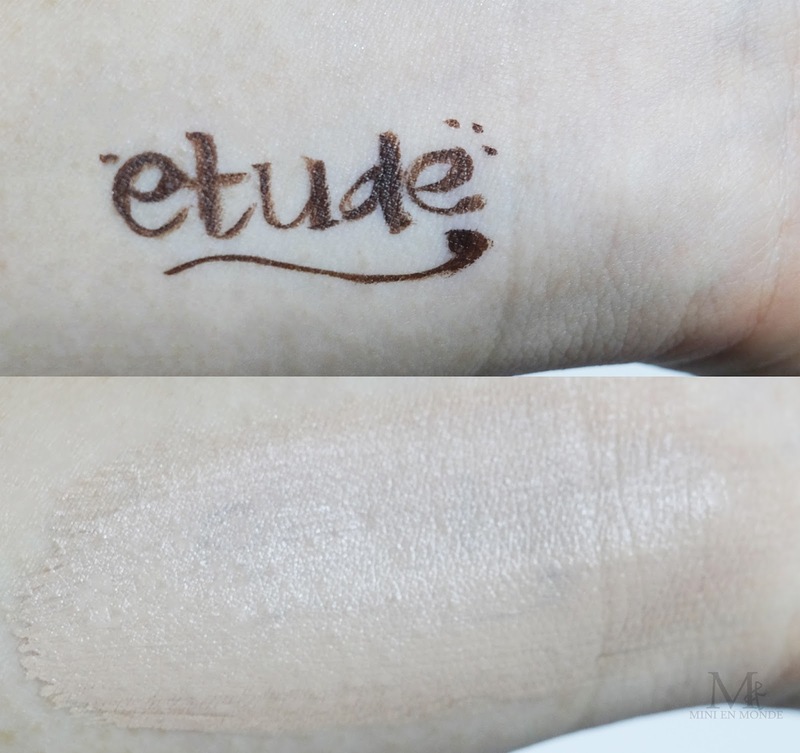 I love this product and would like recommend if you search for high coverage with good staying power, oil control, coverage, yet still having a natural youth looking look. 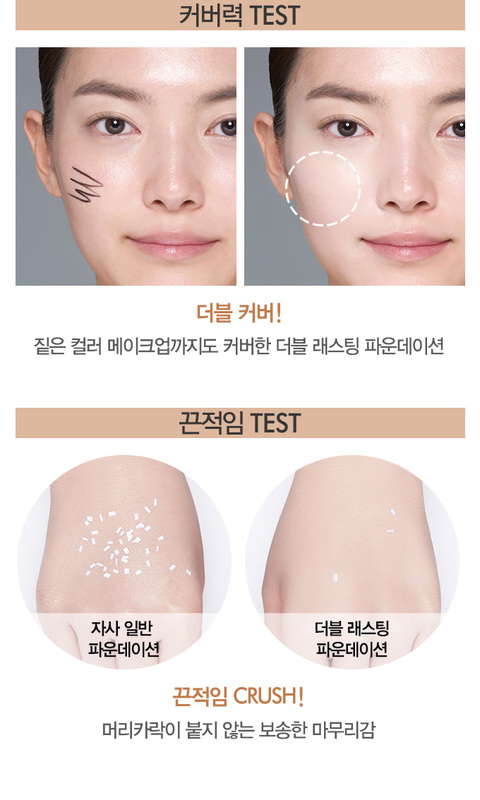 Have you tried any of korean foundation? 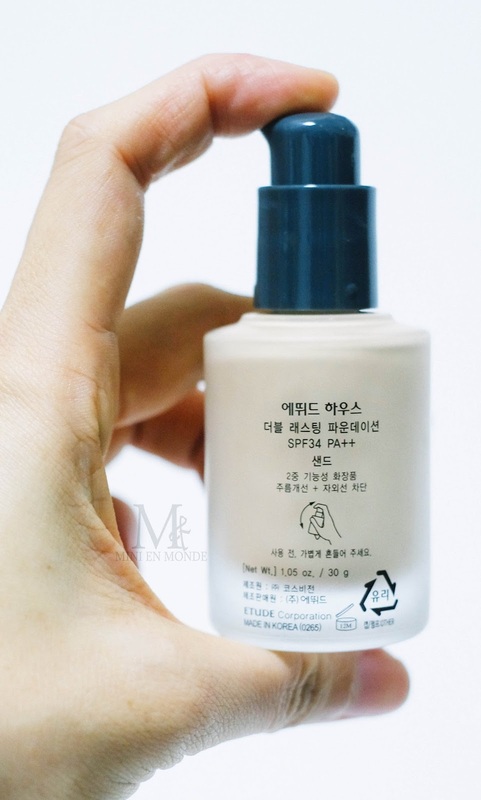 What is your must have korean beauty product? all photos unless otherwise stated are taken by me. Any unauthorized use of photos is prohibited. None of these pictures may be reused in any form or by any means, without written permission.